Lost in Form is a collaborative video work developed with Katharina Karner in 2011/12. 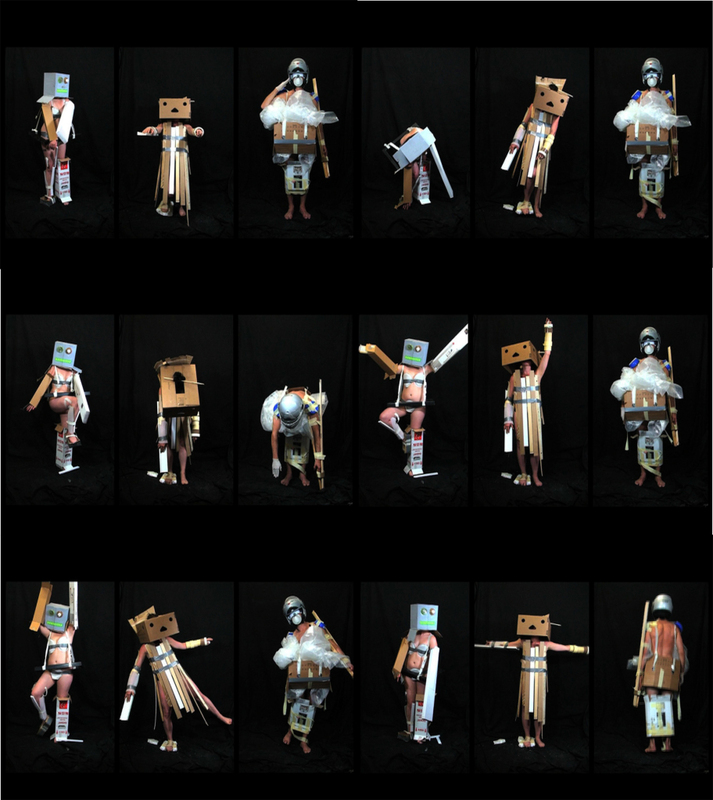 The idea was to use basic studio materials to dress up and create figures referring to certain comic figures as well as Sofie Taueber-Arps puppets and Oskar Schlemmers Triadic Ballet at the Bauhaus stage. The dressed up figures were filmed in a black and therefore dislocated space. They were given advise to repeat certain physical exercises. As the fancy dresses were partly made of hard, resisting material, the figures were limited in their capacities to move, what led to different ways of work outs. The video is looped on a small digital photo image screen. As a result the viewers are often confused at first sight, whether it’s a video animation or not. A useful side-effect in our attempt to rise questions of different realities of body, space and form.